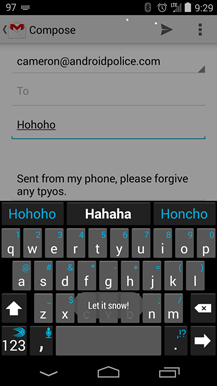 SwiftKey is well-known for being one of the best third-party keyboards available for Android. 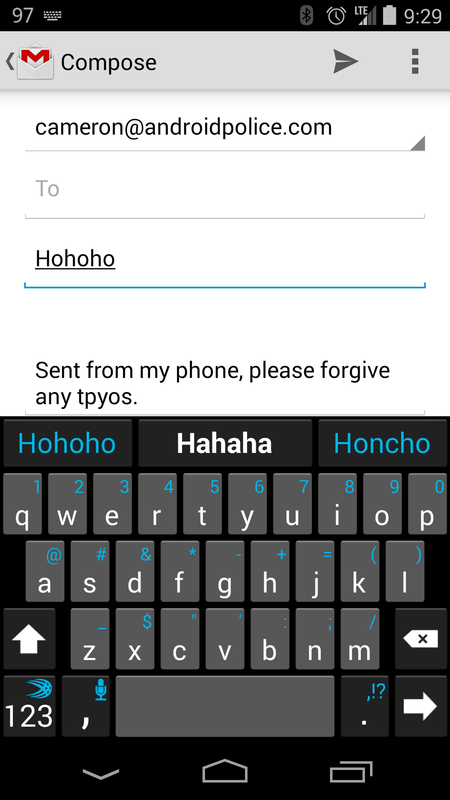 What users of other keyboards may not know, however, is that the company also loves to bake little surprises into the app, especially around the holidays (like the "tilt" feature from April Fool's Day). 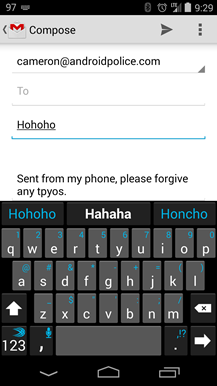 While the keyboard has already received a festive holiday theme with the most recent update, that's not the only wintery goodness the developers threw into the keyboard – there's a fun little easter egg, too. It's extremely easy to do: just type "hohoho," long-press it in the word suggestions bar, and watch it snow. For the rest of the time that window is open, snow will fall across the display (you can continue typing and using the device normally, the snow will keep coming), even accumulating a little bit at the bottom. 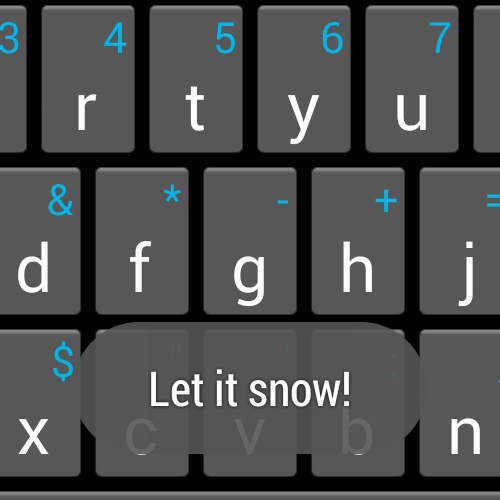 Once you exit the foreground app or close the keyboard, the snow disappears and everything goes back to normal. SwiftKey is on sale for a limited time, so if digital snow falling across your device's screen has always been a dream, you're $2 away from celebrating wintery-bliss. Enjoy.